Epitact Voetzoolkussentje 36/38 CC2612 Verlaagde Prijs 1 pair order online. 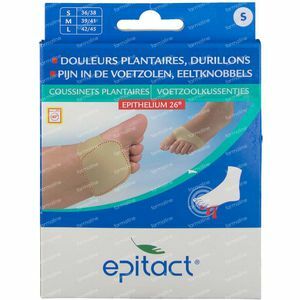 EPITACT® has developed a silicone gel that is able to redistribute pressure, a true substitute for the ball of the foot: Epithelium 26®. This has been built into a plantar cushioned pad which can be worn discreetly in any shoe. Epithelium 26® under the forefoot is the ideal material to redistribute the load thereby relieving the pressure on the arch of the foot. 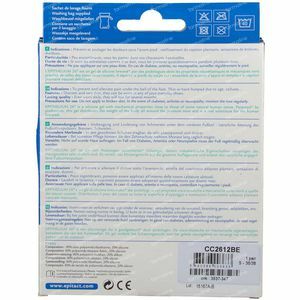 It is built into cushioned pads to offer you a real sense of comfort. 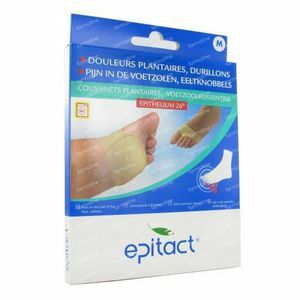 The plantar cushioned pads are held in place perfectly under the foot. Discreet and slim, you can wear them in your usual shoes. They are very comfortable because of the carefully chosen fabric (soft, breathable). 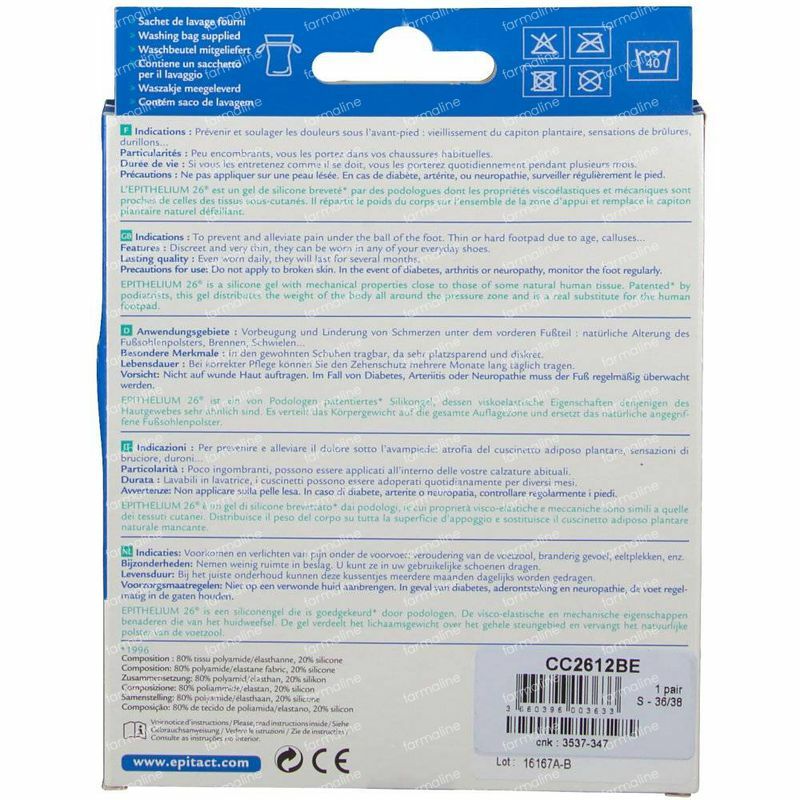 The pads are machine washable at 40°C. Pain, overheating under the foot and calluses often result in wear and tear of the ball of the foot. 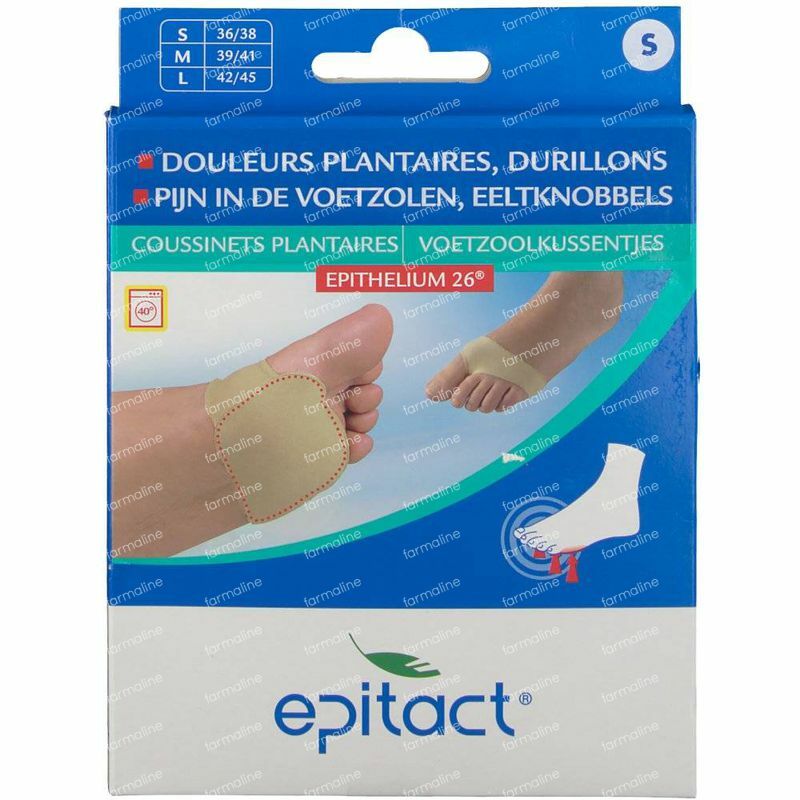 To compensate for this deterioration, EPITACT has created plantar cushioned pads with a built-in patented pressure distribution gel: Epithelium 26®.